Introducing the most beautiful new home in Hakuba, located at the Hakuba Happo Sakka ski slope. Comfort for 14 people. 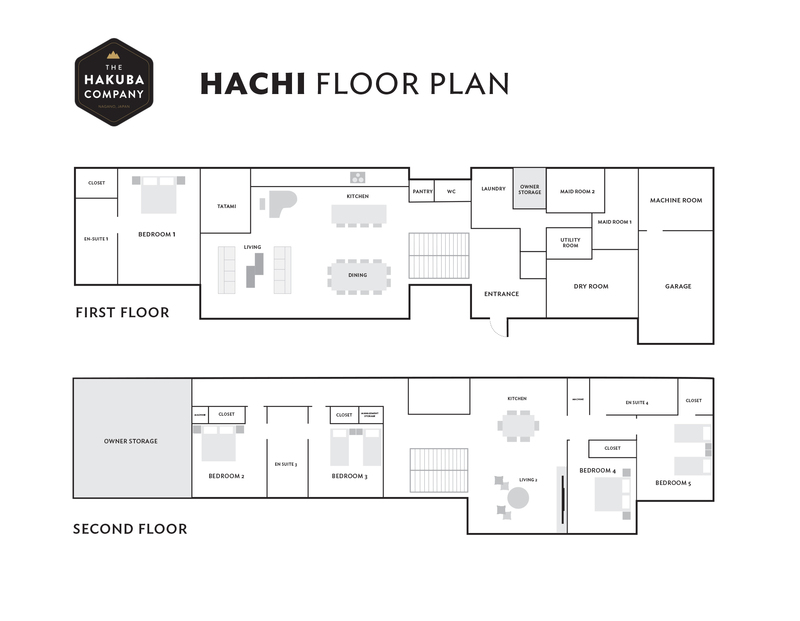 5 bedrooms plus 2 maid rooms, 4 bathrooms, large kitchen and dining area, dedicated drying room, traditional Japanese tatami room, separate living and media rooms. The house comes packaged with a free shuttle service in Hakuba village between 8am to 22pm.